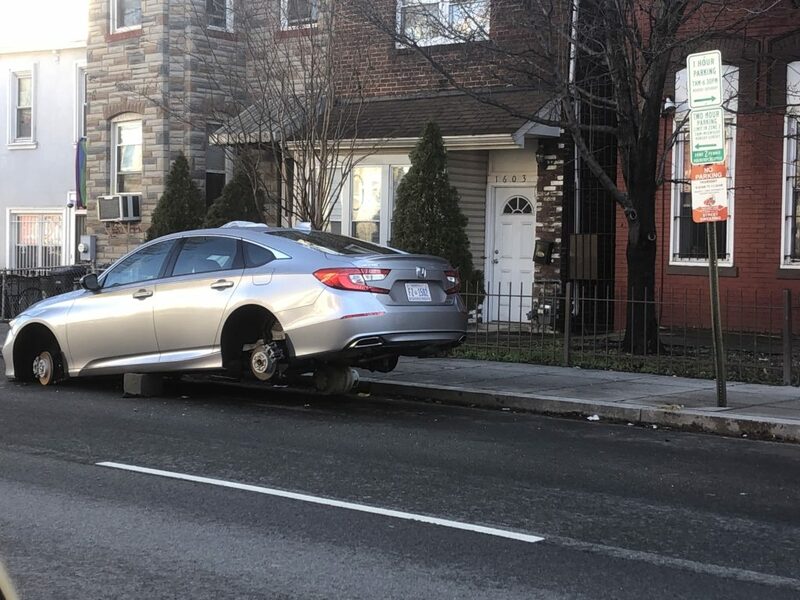 “On 4/5/2019, at approximately 2:08 AM, members of the Fifth District were dispatched to the 1800 block of Bryant Street, NE, for the report of several suspects tampering with a vehicle in the parking lot. Once on the scene, the suspects fled from the officers on foot. The officers engaged in a foot pursuit of the suspects, and were able to apprehend one adult male.